The festival is once again being held for the purpose of bringing an increased awareness to the Mississippi Delta and surrounding areas of the value and importance of piano study throughout childhood and beyond. At 9 a.m., a non-competitive festival event will be held for piano students ranging from kindergarten through junior high school. Older beginners may also participate. Students will perform selections from the classical piano repertoire and will be rated and given written evaluations. Following this event, an honors ceremony will be held, including special recognition of students who received Superior ratings for their performances. Parents, friends, and fellow students will be invited to attend this event at approximately 10:30 a.m.
At 11 a.m., members of the MVSU music faculty will hold an open audition for piano students who would like to be considered for music scholarships for the 2019-2020 academic year. 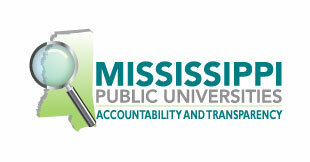 Students who are awarded full scholarships will receive tuition, fees, and room and board at MVSU. The next event to be held will be a Young Artist Competition, beginning at 1 p.m., for students who are enrolled in grades 9 through junior college. Younger students with appropriate repertoire may also enter with the permission of the festival director. Students will perform at least two compositions from differing periods. The first prize winner will receive a cash award of five hundred dollars, second prize winner will receive four hundred dollars, third prize winner will receive three hundred dollars, and the fourth prize winner will receive two hundred dollars. Honorable Mention awards of one hundred dollars each will also be given at the discretion of the festival judge. An awards ceremony will be held immediately following the judging. Awards, certificates, and the cash prizes will be given out during that time. In addition to the cash awards, all winners of the Young Artist Competition will be eligible to receive full music scholarships to MVSU. This year’s festival is being co-sponsored by Bank of Commerce, Charles Hall Studio, Cowan Music, Greenwood Matinee Musicale, Greenwood Rotary Club, Omega Psi Phi Fraternity, Planters Bank, Zeta Phi Beta Sorority, and Walmart. For further information and an application, contact organizer Dr. Lawrence Goldman at (662) 254-3681or by mail to MVSU Piano Festival, 14000 Hwy. 82W #7255, Itta Bena, MS, 38941. The application postmark deadline for participants is April 15.